Pyramids are yet another one of our many acoustic foam panels. They are 2’x2′ squares of open cell class A fire rated melamine foam. 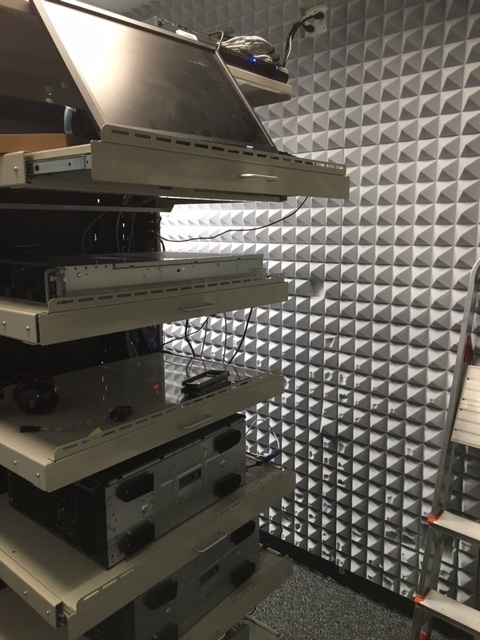 These pyramid acoustic foam panels combine to absorb echoes within a space, collapsing perimeter background noise to deliver greater clarity to original sound. Available in 2″, 3″ or 4″ thicknesses. The thicker panel attacks more low frequency noise. 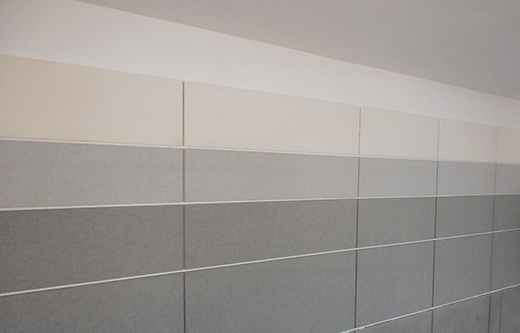 Our soundproofing foam panels are symmetrical, producing continuous alignment across a wall or ceiling expanse. The key to the success of your Pyramid acoustic foam panels lies not in where you locate the panels, but in the quantities you introduce into your room. To calculate the right amount of material, call our help desk at 1-800-638-9355 or submit a Room Analysis Worksheet. 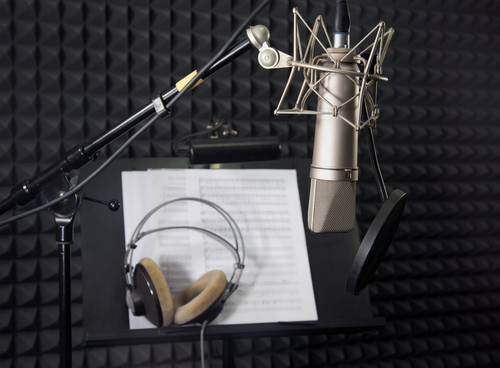 Pyramid acoustic foam panels offer ideal noise reduction solutions for applications in studios, recording, music rooms, vocal booths, radio stations, TV studios, broadcast studios and more. These acoustic foam panels offer a continuous visual presentation across the expanse of a wall as we showcase in this image. Our Pyramids are cut from our line of class A fire rated melamine noise reduction foam, making them approved for use in any commercial, residential or industrial application. 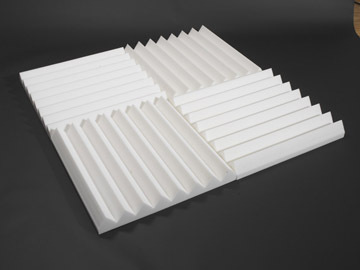 Soundproofing foam Pyramids are available in 2”, 3” or 4” thickness. Colors include white, light gray or dark gray. Prices are reflected here. For questions related to your project, call our help desk at 1-800-638-9355. Orders can be placed by phone or online using the link to the left. Some of our clients opt for the linear wedge cut of this same melamine noise reduction foam with a product called VCuts. VCuts are cut to the same size, the same depth, and should target the same coverage amounts, but create more of a “parquet” look to your treatment once the treatment is fully assembled. Also note that the cloth wrapped Fabric Panels combine to produce the same sound level ratings as our acoustic foam panels do. Fabric Panels can be cut into panel dimensions up to 4’x10’ and are available in 60 colors. For a full view of our various sound panel options, check our Case Studies Library for more ideas on your upcoming soundproofing project. Pyramid acoustic foam panels are boxed and shipped to your project site via Fedex Ground. Average production time to deliver is 7-10 days. The panels are glued to your surface with standard silicone caulk. Our popular Room Analysis is a free tool to help calculate your soundproofing coverage amounts and quote your project for you. If you need help with the amount of noise reduction foam Pyramids panels you should be ordering, use this form to submit room size and we will calculate your coverage amounts for you and quote back.